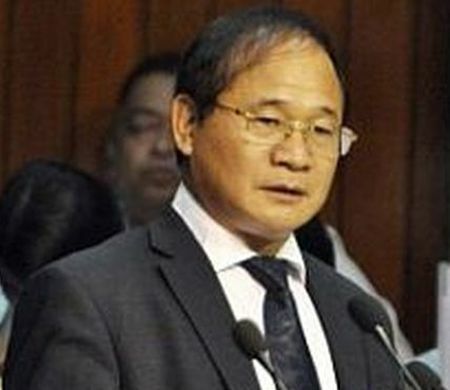 Nabam Tuki, who was restored as the chief minister of Arunachal Pradesh by the Supreme Court on Wednesday, was on Thursday asked by the governor to take a floor test by July 16 to prove his majority in the state assembly. However, Tuki, who led a Congress government that fell in January after the controversial role played by Governor J P Rajkhowa, said that he needed time to face the floor test. Talking to media persons after attending office, Tuki said he would request the acting Governor Tathagata Roy to defer the proposed floor test as it is "not possible" within a short span of time. The governor in a communique informed Tuki that in obedience to the Supreme Court verdict he has been reinstated as chief minister of the state with effect from on Wednesday. He also asked the chief minister to call the assembly session immediately and prove his majority in the house by July 16. The communique said in order to ensure peaceful proceedings, the floor test should be videographed throughout and the majority proved by division and not by voice vote. Roy further emphasised that the conduct of the proceedings, including the videography in the house should strictly follow the principles laid down by Supreme Court in its order of May 6 regarding imposition of President’s Rule in Uttarakhand (SLP C 11567/2016) Union of India Vs Harish Chandra Singh Rawat, a Raj Bhawan release said. A note to this effect has also been sent to the assembly secretariat, it said. Tuki arrived in Itanagar on Thursday evening after assuming charge of chief minister of the state at Arunachal Bhawan in New Delhi on Thursday following the apex court verdict. Speaker Nabam Rebia, who too attended office on Thursday, said the assembly needs at least 10 to 15 days to summon a session. "I have received the governor's order asking the state government to go for floor test on July 16 which is practically impossible keeping in mind the uneven topography and inclement weather besides the communication bottlenecks in the state," he told media persons. The speaker also appealed to all the Congress members to strengthen Tuki's hands for overall development of the state. In a major setback to the Bharatiya Janata Party and the Centre, the Supreme Court on Wednesday ordered restoration of the Congress government, saying the "clock should be turned back", as it quashed all decisions of Governor Rajkhowa that precipitated its fall in January, holding them "violative" of the Constitution.